Laser Engraving Machine can engrave all kinds of the nonmetallic craft works, gifts, bamboo and wooden products, the structure is more compact and reasonable, electric performance is ready, with the fast engraving speed and the higher precision also can engrave beautiful portraits/pictures on all kinds of nonmetal materials surface. can also engrave diversified marks and brands, this is a machine with good performance and low price. 2. Laser Power:40W~180W, good quality and stable output to extend the laser tube service time. 3. 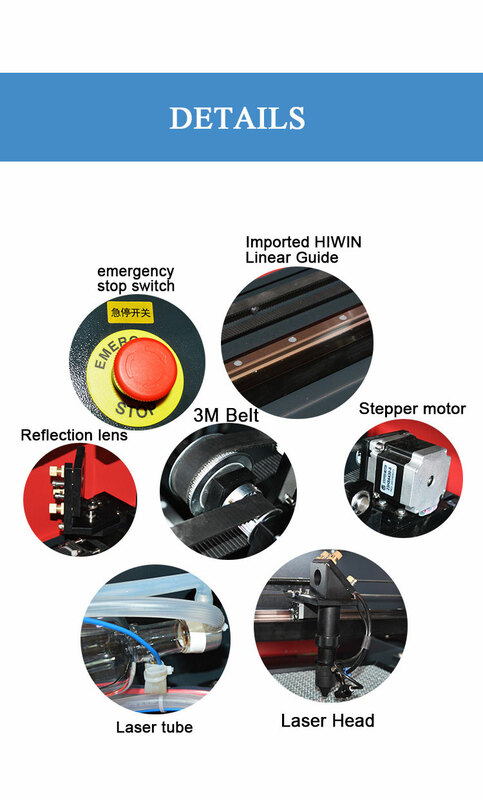 Singapore imported lens and mirrors:High transmittance, good focusing, reflecting effect. 4. DSP control system, Trocen Controller: Trocen USB controller. USB interface, support online/offline working, English language system, adjustable cutting speed and power.